Tour d’Epicure is an exclusive one-day cycling and epicurean experience for the connoisseur of food, wine and cycling! Discover the scenic pleasures, classic cycling routes and unmatched food and wine delights of the incredible Okanagan Valley, all while doing something for the greater good. This event raises money for children living with, and the effects of, cancer and their families living in British Columbia. With only 70 riding spots available - secure yours today! Accommodations: There are lots of accommodations options in Osoyoos, however Spirit Ridge Resort is the start and finish of the event and we are working on a discount for all participants. Discount details are listed in your registration confirmation email. Interested in joining us for Tour d'Epicure Niagara? We'd love to see you there too! 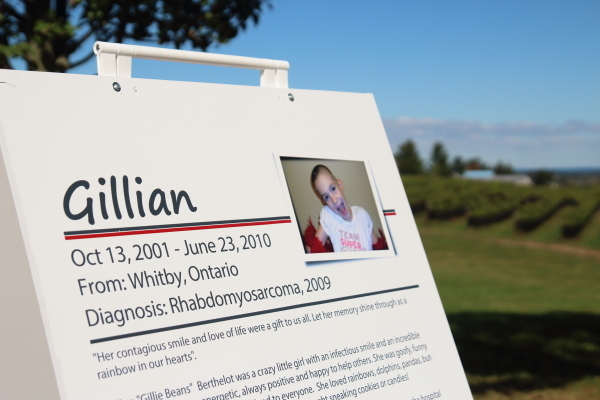 Because in Canada there are 10,000 children living with cancer and its long-term effects. Because in Canada approximately 1,500 children are diagnosed with cancer every year. Because in Canada 1 in 5 of them won't survive. The goal for the 2019 Tour d'Epicure Okanagan is to raise $50,000 for programs in need that support children with cancer and their families in Canada.